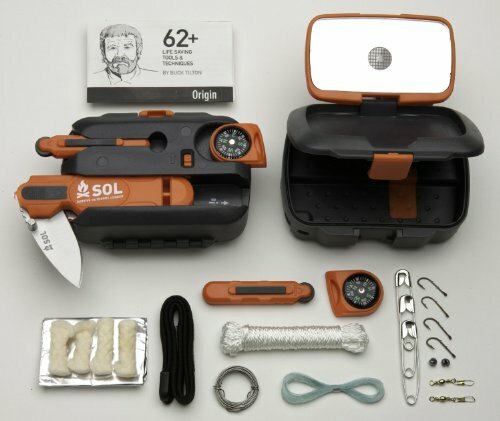 The SOL Originredefines the survival kit from the ground up. 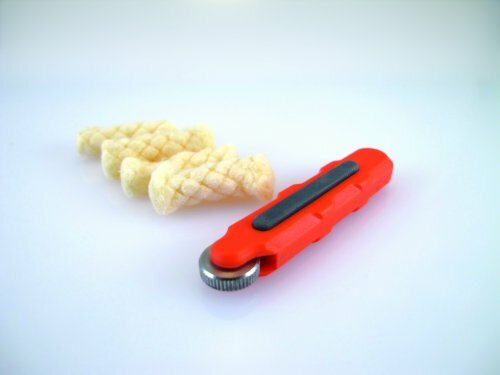 In one product that fits in the palm of your hand, the Origingives you the collection of tools you need to survive the unexpected and make it back alive. 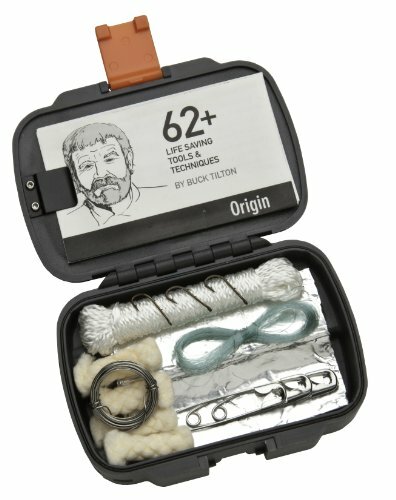 Think of it as the ultimate cross breed of the traditional ten essentials and a survival kit, all wrapped up in one lightweight, easy to carry, indestructible package. 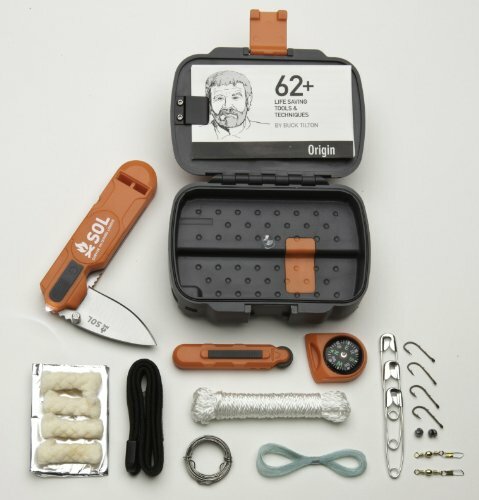 The heart of the Originis its ABS-plastic waterproof case, which contains an array of key survival tools, including TinderQuik fiestarting tinder, 150lb-test braided nylon cord, mil-spec stainless steel wire, and an emergency sewing and fishing kit. 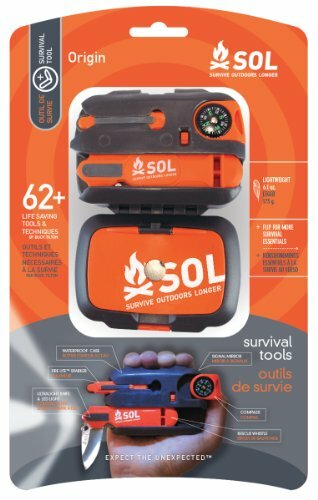 And, for those unfamiliar with wilderness survival, backcountry expert Buck Tilton’s survival instructions contain over 60 survival techniques and strategies. 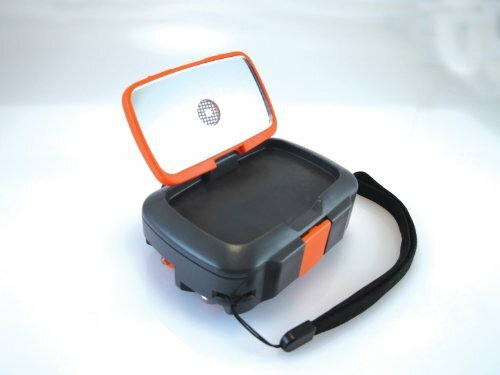 However, the body of the case is really what sets the Originapart - integrated into the lid is a flip-up Rescue Flash signal mirror with retroreflective aiming aid. 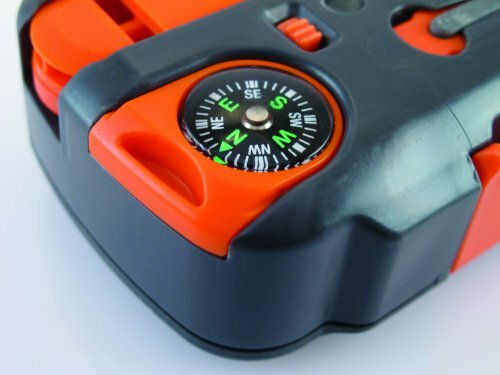 Flip the case over, and find the one-hand-operable Fire Lite firestarter, as well as a removable liquid-damped compass. 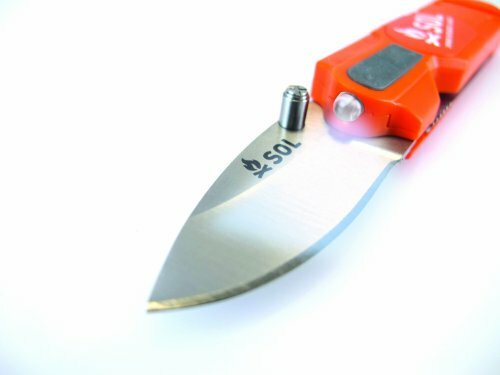 Finally, secured in a button-release slot is a fully-functional folding blade knife, with a 100db rescue whistle and ultra-bright LED light integrated into the knife handle. 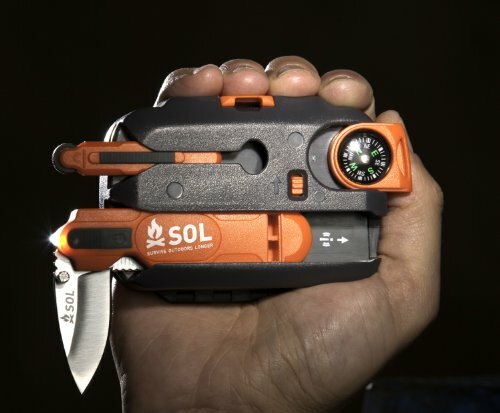 The AUS-8 drop-point blade has been designed for the precision cutting you need during survival emergencies, and it excels at slicing, whittling, and any task where blade control is essential. 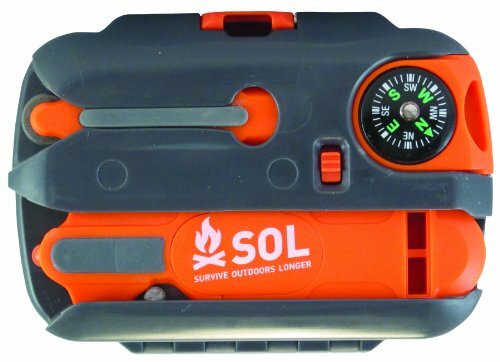 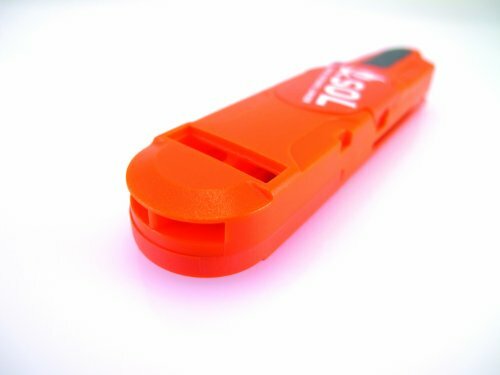 The SOL Originis the lightest, most space efficient, and most durable survival kit on the market. 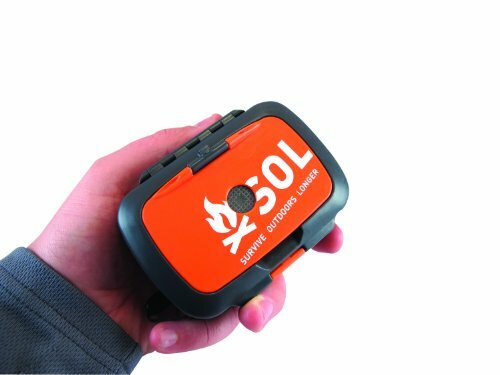 Welcome to the future of survival – the Originis mandatory equipment for any outdoor adventurer.